Did you know the Chase Sapphire Reserve can save you $13+ per day on car rentals? When you pay for a rental car with the Chase Sapphire Reserve, you’ll receive primary rental insurance coverage when you decline the rental company’s collision damage waiver (CDW) and pay in full with your card. That way, you don’t have to pay the exorbitant insurance fees provided by the rental agency (which on average seem to cost ~$13 per day, and are occasionally MUCH more). But the Chase Sapphire Reserve can do more than that. It can save you 20% when you book fancy Audis! 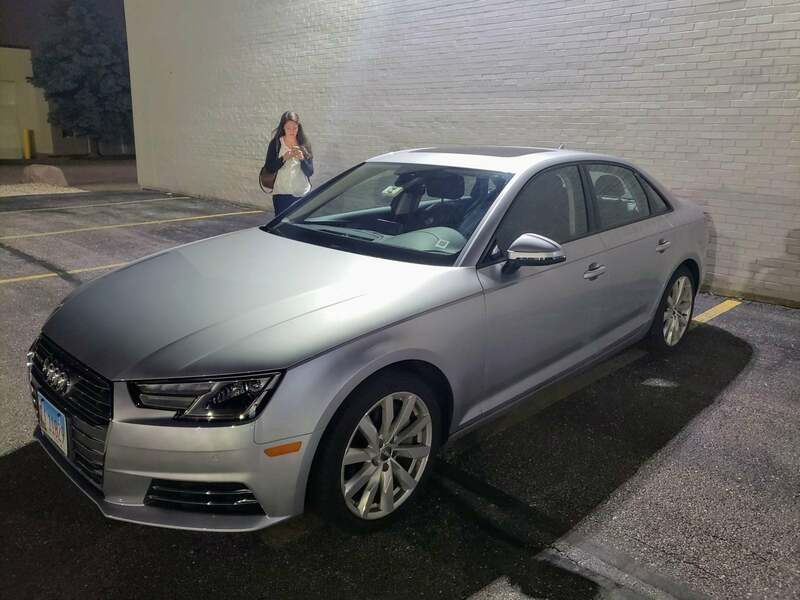 Silvercar is a car rental agency that rents only silver Audi vehicles. They have 25 locations around the US, mostly near hub airports like Chicago, Los Angeles, and New York. I’ve used it a few times and absolutely love it! Previously, Visa Infinite cardholders (like folks with the Chase Sapphire Reserve or U.S. Bank Altitude™ Reserve Visa Infinite® Card) could use the code “VINFINITE” to receive 30% off Silvercar rentals of 2+ days. That code is no longer working. The new promotion code for Visa Infinite cardholders is “VISAINF20“, which will give you 20% off your Silvercar rental. That’s obviously not as generous as the recent 30% discount code. However, you can use this discount for single-day rentals (you no longer are required to book 2+ days to get the discount). Which means it’s more useful to some folks! Remember, you’ll also earn 3 Chase Ultimate Rewards points per $1 on travel purchases like this when you use your Chase Sapphire Reserve! Note: You may receive the discount even if you don’t hold a Visa Infinite card. I’ve successfully received this discount with the previous promo code, and I don’t have a Visa Infinite card. If you have data points on this, we want to hear them! Stay on top of all the changes and promos of miles & points by signing-up for our newsletter!